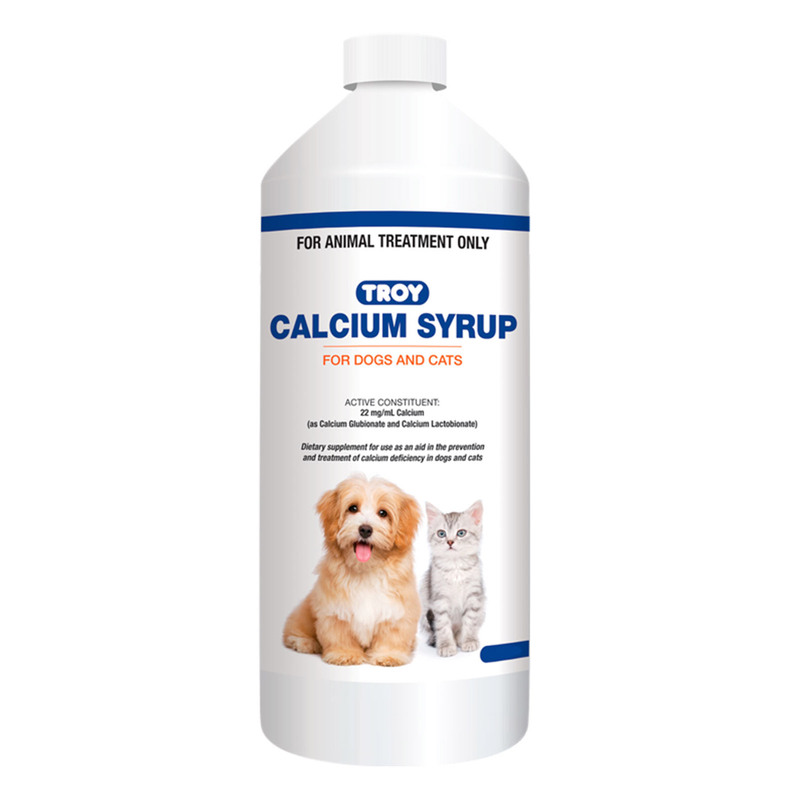 Troy Calcium Syrup is a potent supplement for treating calcium deficiency in dogs and cats. Loaded with essential minerals, the health supplement is highly recommended for treatment and prevention of calcium deficiency in felines and canines. It helps to control disorders of calcium metabolism. Troy Calcium syrup supplies calcium to weak bones and support to make them strong again. It helps pet to regain strength and lead a happy and active life. Administer two times a day. Give it orally or mix it with cat food. Do not feed meat diets unless under vet’s supervision. Troy calcium Syrup is highly beneficial for overcoming calcium deficiency in cats and dogs. Help to promote remineralisation of the bones. It treats calcium deficiency and disorders related to calcium metabolism. The syrup helps to strengthen bones and keep pets active. The palatable taste makes it easy to administer. Store it below 30 degree C and protect it from direct sunlight. Do not feed without consulting your vet. Do not administer to animals with hypercalcaemia and hypercalciuria. Its the product worth buying without even thinking twice. I have been giving this effective dietary supplement to my furry pal for treating calcium deficiency. It has given a new life to my pet. It has aided in strengthening the bones of my pet and made him more active. I would definitely recommend this product to other pet owners. My pooch is in love with this syrup. He finds it highly enticing and the great thing is it helps in strengthening his bones and keeps him active. Thank you so much!! !